For the convenience of military families, AA Self Storage offers special discounts on Jacksonville storage options to service personnel. For military service personnel wishing to store vehicles, AA Self Storage provides units specifically designed for vehicle storage. Our interior car parking is available to keep your vehicle secure while you’re away. 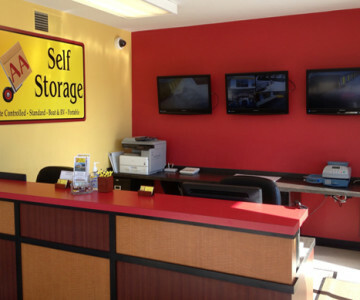 For a full list of our Jacksonville storage unit sizes and prices, visit our Jacksonville storage options page.